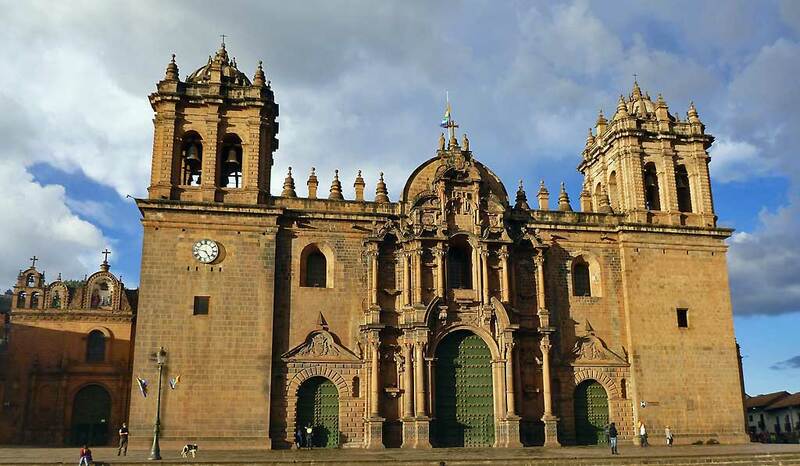 Visit Cusco and see the Plaza de Armas. It’s the the central square, framed by the Cathedral and La Compania de Jesus. The Cathedral contains a painting of the Last Supper by Marcos Zapata. 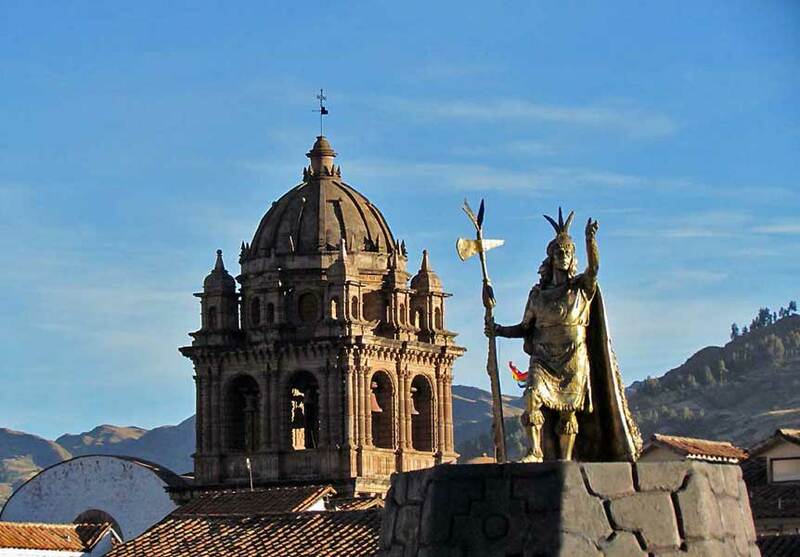 A statue to the Inca King Pachacuti sits on a fountain in the square. Santa Catalina Convent & La Merced Convent are both a few short steps off the central plaza. Nearby are the Church of San Francisco, San Pedro Market & San Pedro Church. Convent of Santo Domingo – The church is built over top of Qoricancha (Koricancha, Coricancha, etc. 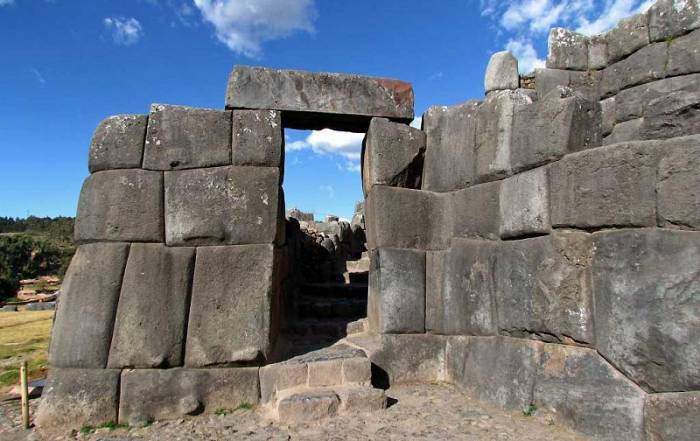 ), the Inca Temple of the Sun. The different styles are seen side by side. Inca stonework forms the foundation of the church in many places. A cab is an excellent way to visit Sascayhuman, Qenqo, Puka Pucara and Tambomachay. 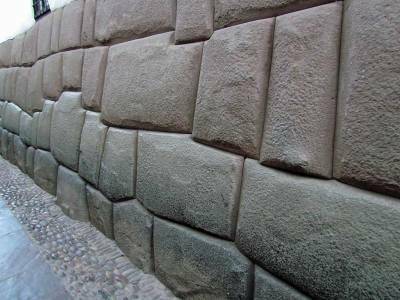 Read a blog about an independent Sacsayhuaman Visit or consider Viator’s Sacsayhuaman and Temple of the Sun Tour. 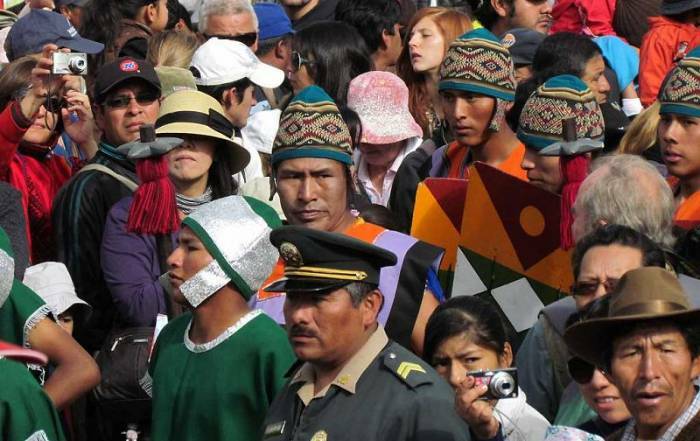 Attend Inti Raymi – the Festival of the Sun held June 24th each year. Ceremonies start at Qorikancha at 9am and move to the Plaza de Armas before ascending to Sacsayhuaman, where a final ceremony is held at around 1pm. 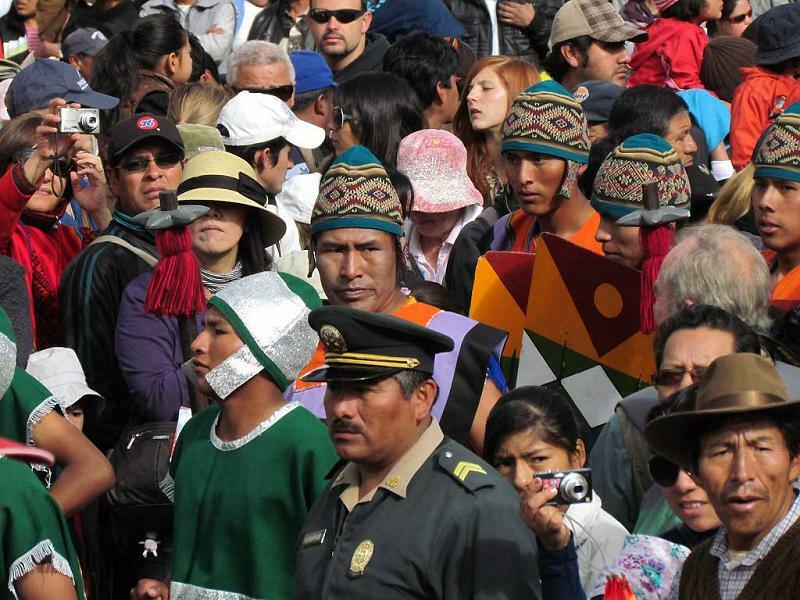 Read our Inti Raymi Festival blog. San Blas – hillside barrio, including San Blas Plaza with the San Blas Church and the Stone of Twelve Angels.. This is a short but steep walk from the central plaza. Museo Inka – Inca Museum. A collection of 450 pieces fom the 1200s BC to the 1500s AD. No pictures allowed. Pre-Columbian Art Museum – Museo de Arte Pre-Columbino. There isn’t much from the Inca period, but the Nazca exhibits are very impressive. 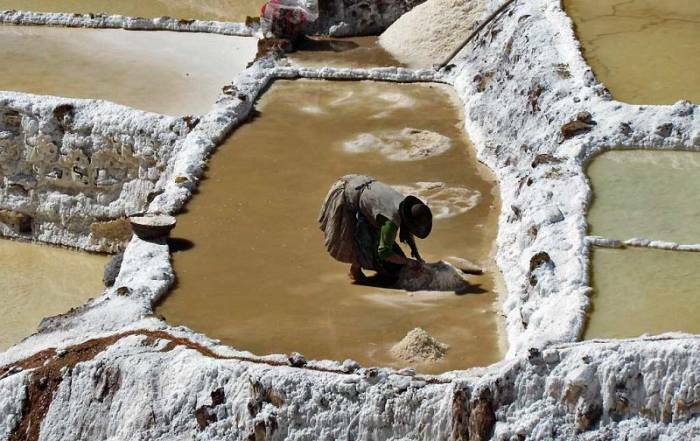 For the Salt Mines of Maras and the ruins at Moray, we recommend booking with a local hotel on a small group day trip that combines both locations. Read our Maras Moray Day Trip blog. Along the way, you can also stop for a Chinchero Community Visit. The main transportation question for visitors to Cusco is how to get to Machu Picchu. First, travel by bus to Ollantaytambo in the Sacred Valley. Stay the night. Visit the Ollantaytambo ruins in the morning. They are walking distance from the small town. Then take the afternoon train to Aguas Calientes and stay another night. The next morning rise up early and take the short bus ride to the ruins of Machu Picchu. At the end of the day, take the train back to Cusco. 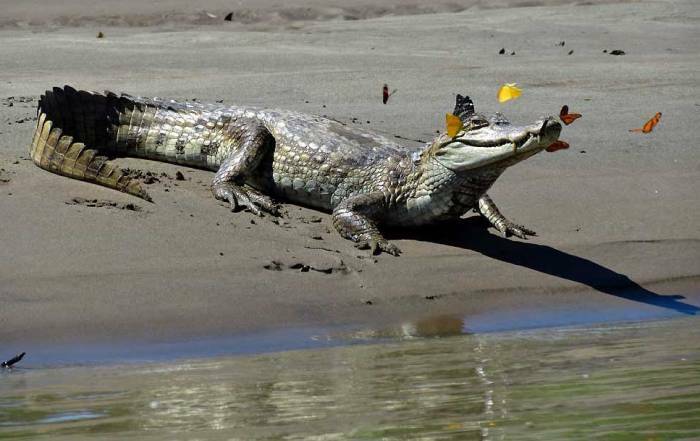 For other options, visit our Machu Picchu web page. 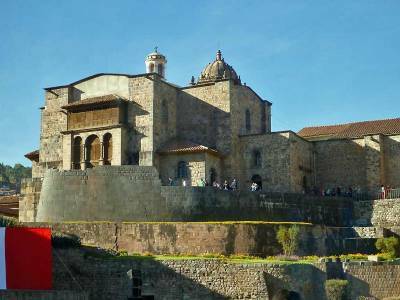 If you intend to visit a number of sites in the Cusco area, consider the Boleto Turistico del Cusco, sold by the government. Tickets can be easily obtained on location or by asking at hotels. 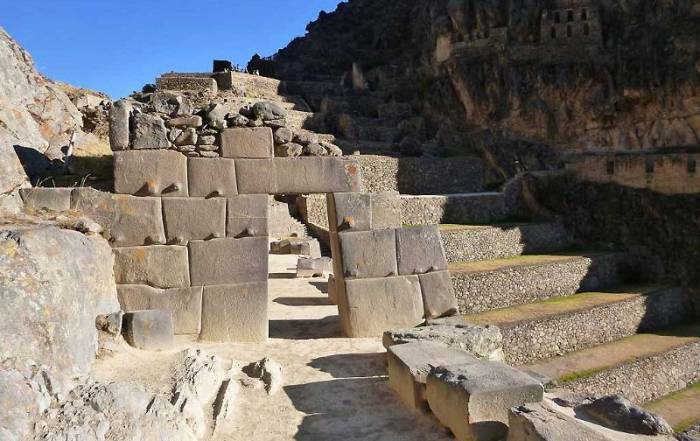 If you plan to visit Sacsayhuamán and Ollantaytambo it’s worth it to buy the Boleto Turistico. Cusco is located in the southern hemisphere, so seasons are reversed from North America and Europe. 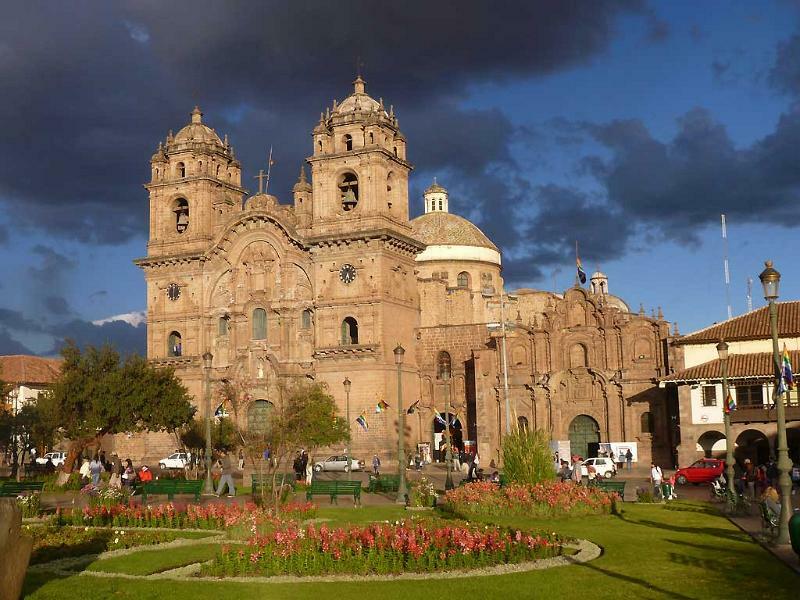 Cusco’s average highs are consistent year round at about 68 F (20 C). June is the best time to visit Cusco for clear, dry weather. 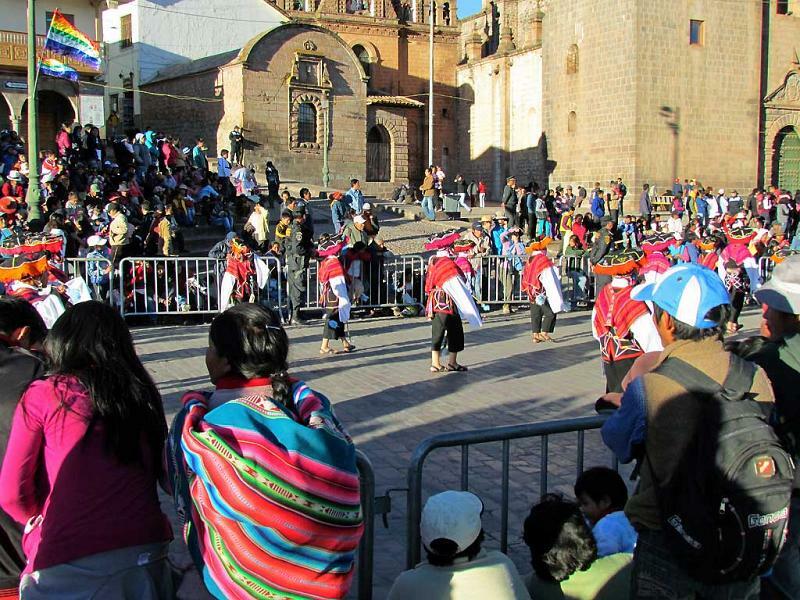 Late June also has festivals and parades, like the Festival of the Sun which happens on June 24th each year in Cusco. The downside to travel in June is that Cusco has freezing temperatures each night. Next, combine this with a little altitude sickness and steep slopes to climb. You will find that Cusco is physically demanding, but you will take amazing photos that make it all worthwhile. Tourists have only one option for accessing Cusco and that’s through Lima. From Lima, the options are to fly to Jalisco at Lake Titicaca and then take a full day bus ride to Cusco or fly directly to Alejandro Velasco Astete International Airport in Cusco. In town, taxis are the most practical way to get around. Quality cabs are waiting at the airport. They offer a standard price, which an elderly supervisor always assures you is a good deal. If you are good at bartering, they will finally bring around a cheaper, less luxurious cab, but they won’t be too happy to treat a tourist like a local. In winter months (June) hotel heating usually isn’t available until after 5 pm even in more expensive hotels. El Virrey Boutique – located right on the Plaza de Armas, opposite the Cathedral. It’s a perfect location and a very nice hotel. If you don’t speak any Spanish, this hotel might be a bit of a challenge. Tika Wasi Casa Boutique – This is typical good-value accommodation often used by Intrepid Travel. The roof top breakfast location has views over the city. 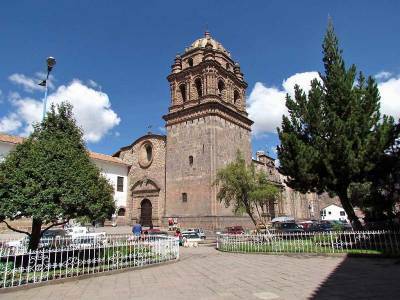 Waman Qorikancha – This is very inexpensive accommodation located directly across from Qoricancha. You can see the Inca stone walls out the front door while you have the breakfast buffet. It’s an easy walk to the Plaza from here. Libertador Palacio del Inka – higher end accommodation for the more luxury oriented traveler. About 360,000 people live in Cusco. It was the capital of the Inca Empire prior to the arrival of the Spanish in 1533. The Spanish intentionally built their churches over top of Inca sites. The city is centered on the Plaza de Armas with two churches facing the square – the Cathedral and the Company. The San Blas hillside area, by the square, has a colonial atmosphere with artisans and narrow streets. On the mountain side above the city are a number of Incan ruins, including Sacsayhuaman, Pukapuka, Quenqo and Tambomachay. With an elevation of over 11,000 feet in Cusco, it’s useful for tourists to drink lots of water and try coca tea to reduce altitude sickness.